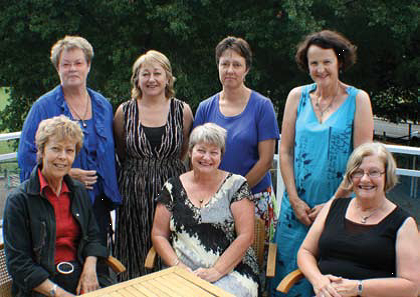 UPDATE: In 2013, NZEI members secured ACET in a collective agreement, which recognises this work. The Advanced Classroom Expertise Teacher allowance gives teachers, with a minimum of six years in the class, an on-going annual allowance of $5000. There is also a process to be completed to establish expertise, and gain the allowance. NZEI is looking at all options to make sure the model is introduced across the primary sector, including legal action if necessary. Practice-Based Attestation (PBA) was developed in partnership by NZEI with the Ministry of Education and NZSTA as a result of the 2007 settlement of the Primary Teachers Collective Agreement (PCTA ). Its initial aim is to ensure the 7000 or so primary teachers who do not hold a degree, but whose skill, knowledge and practice are equal to those that do, get fair access to higher pay scales. It emphasises professional knowledge, professional practice, relationships and values, and may offer a way forward for all teachers. In 2007, the then government agreed to roll it out across the country, giving pay rises of around $10,000 over three years, subject to a successful pilot. A process to implement the PBA is set out in the current PCTA , but the government has delayed action on it. “Teachers with diplomas have been penalised salary-wise for years, and it is not through lack of teaching ability,” says Principal of Frimley School in Hastings, Malcolm Dixon, who along with seven of his staff took part in the process. PBA was developed and trialed by a cluster of schools in the Hawke’s Bay. This pilot was evaluated by Atelier Learning Solutions, which has deemed the process rigorous and robust. Malcolm’s staff, some of whom have been teaching for 25 years, spent many unpaid hours at lunchtime, after school and in holidays over the past year on the pilot. He says they deserve recognition for their knowledge, skills and attributes (KSA s). According to Atelier, the PBA pilot’s process was sufficiently robust and rigorous for principals to gather and compile the evidence necessary to make attestation judgements against the KSA framework. Esther Parsons says it helped her grow in confidence as a teacher and developed her leadership skills. The process had a collegial effect on the group. “We grew closer together and could trust each other.” The teachers are keen for the rollout to begin. “I have been fighting for this for 15 years. This is a finite group and they deserve to be recognised,” says Malcolm. NZEI is unhappy that despite a successful pilot, the PBA has not yet been made available to teachers. “We have been consistently frustrated at the government’s delays in this matter despite raising it at all levels, including the minister of education,” says NZEI national secretary Paul Goulter.